All Fish Forums • View topic - Large tank! There are no noticeable scratches. 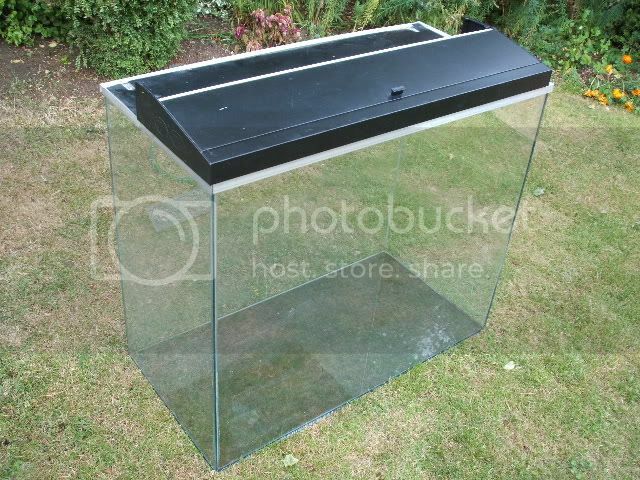 This aquarium is being sold due to lack of space. It has been thoroughly cleaned and disinfected after the last occupants. pick up only Oxford area. It was last used as a paludarium as it has developed a small leak about a third of the way up the front right joint: this can easily be fixed using some silicone which is readily available at most LFS. This aquarium has been recently tested for water tightness and apart from this leak (which can be seen in the photo as the lighter part of the joint), it is water tight. PM for more info & pics.